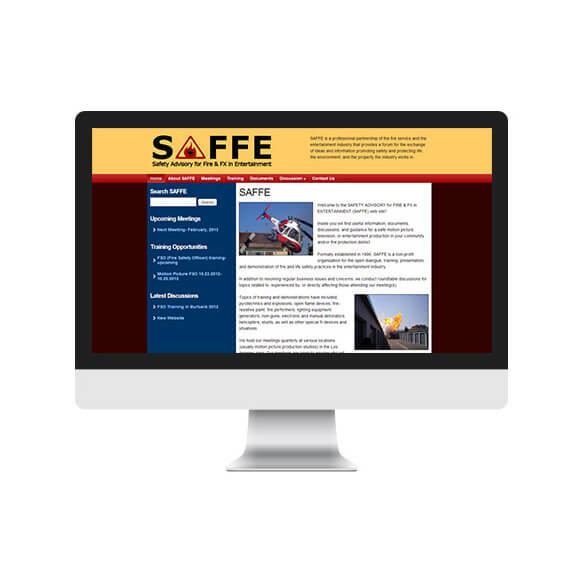 Safety Advisory for Fire and FX in Entertainment (SAFFE) already utilized our services to redesign their former website, but once again approached us with a new project. This time around, the scope was to take our new design and convert it to a CMS platform so that SAFFE could manage their website without our help. With the migration to the WordPress platform (with BBPress forums), SAFFE now has full control over editing the content of their site, as well as registering their members to participate in online discussions via the forum. Also note-worthy, when WWS coverted the site to WordPress CMS, a framework was established to make the website responsive – the website automatically resizes to accomodate mobile devices of all sizes.